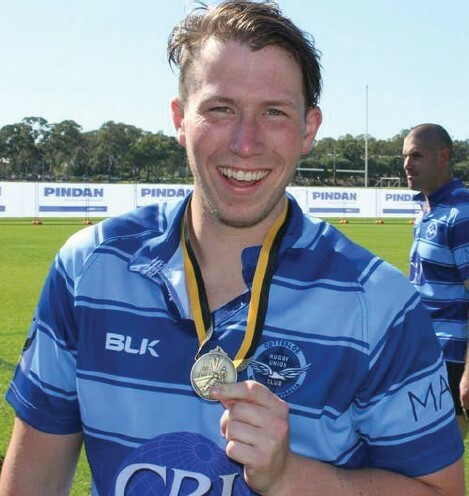 Cottesloe Rugby Union Football Club is a not-for-profit organisation, therefore we rely heavily on sponsorship to help keep our teams on the field on a weekly basis. We have developed an exciting range of sponsorship opportunities with your business in mind. Our benefits will allow you to expand your business base through access to our membership, networking, branding promotion and invitations to special Cottesloe Rugby events and game days. We have various levels of sponsorship that we would like you to consider for the 2017 season. All of the packages below are an outline provided for information purposes. We find that with all of our sponsors it is best to discuss tailoring a package to suit. For full details please contact Gillian Forde on 0487 590 143 or Ross MacDonald on 0410 711 391. • Corporate logo/identity on a Jersey set for one of the following teams – Reserve Grade, 3rd Grade, 4th Grade, 5th Grade and Women’s Grade. • Corporate logos/identity on fence line signage at every home game for the 2018 season. • Corporate logo/identity on our website. • Opportunity to promote your business at our club. This year we are excited to expand upon the $500 Club Incentive which was introduced in 2016. • Corporate logo/identity on the sleeve of our Premier Grade Jerseys. • Corporate logo/identity on the sleeve of our Premier and Reserve Grade Warm Up Tops. • Corporate logo/identity on our website home page with link to sponsor website. • Season polo shirt x 2. • Opportunity to promote your business on our Team apparel. • Complimentary tickets (2 no.) to our end of season Club Awards night. • $300 Bar credit to be used over the bar at CRUFC home games. *2 No. Double Blue Sponsor Packages available. great rates and even better views! • Sound & AV equipment. • Corporate logo/identity on the back of our Premier Grade Jerseys. • Corporate logo/identity on the back of our Premier and Reserve Grade Warm Up Tops. • Hospitality/functions package for up to 40 people incl. 4 hr beverage package. • Participation in our Season Opening Jersey Presentation Night and Networking Events. • $500 Bar credit to be used over the bar at CRUFC home games. home games and training sessions.